What does the Top-designer's office look like?! Beijing Architectural Design Institute Co. Ltd. (short for BIAD), founded in 1949, is a large state-owned architectural design consultancy, majoring in the architectural design , their business scope including: city planning, large-scale public building design, interior decoration design, Landscape building design, engineering design, preparation of project budget system, weak current engineering, project contracting and other fields. 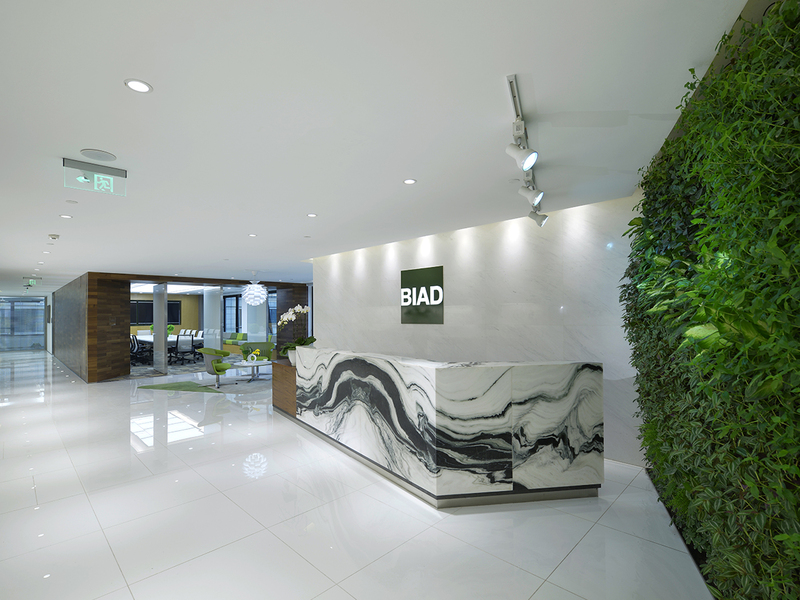 After years of hard work, BIAD has a large and excellent design team. The designers are advocating respect for the human health and environmental protection of the BIADenterprise culture as the key heart, putting the "environmental health office building" as the starting point of thinking, connecting the modern science and technology, environmental protection, art space for the creation of target. The most simple design elementswill unify the entire space design language,white color is the main color design, withmatching of BIAD green, low-carbon, smart, efficient and life as the theme, they have created a simple and elegant, green office space, so that made the whole office environment in pleasant. 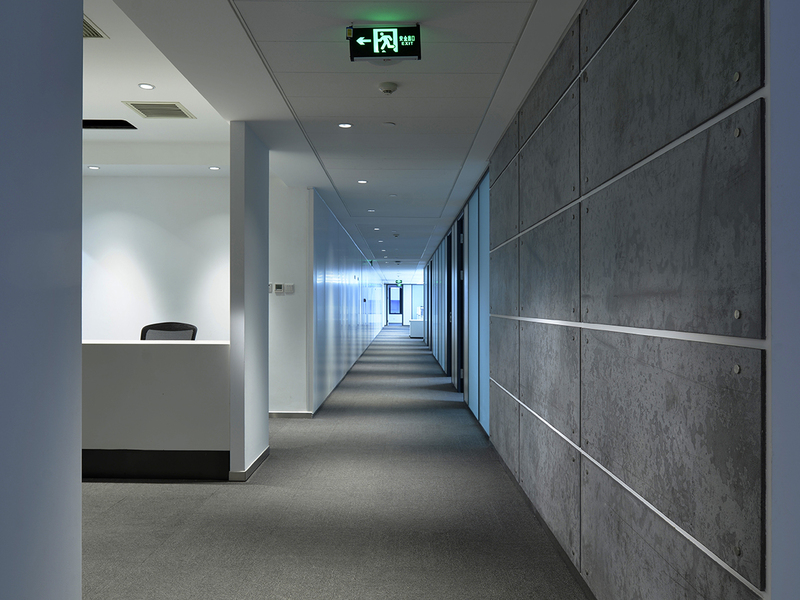 The decoration of elevator wall and ceiling is simple but elegant by using unified white marble and dark metal plate. 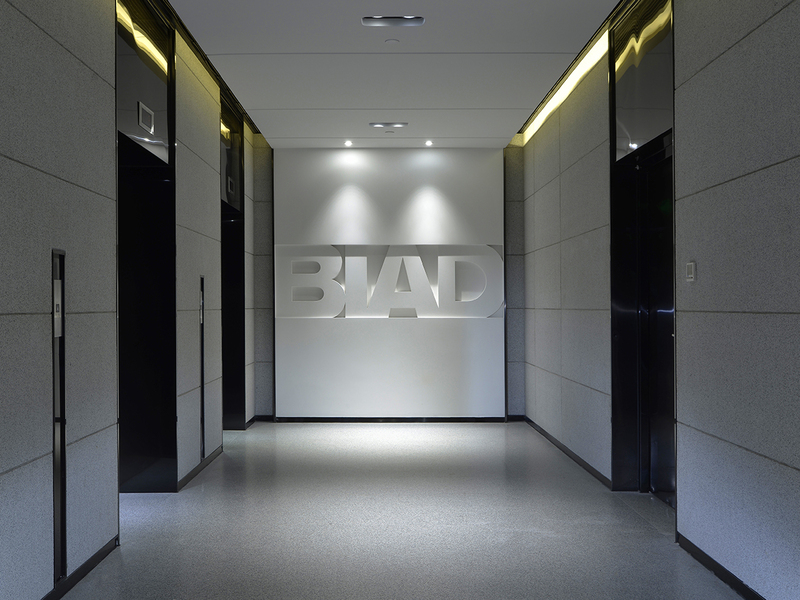 “BIAD” logo visual effect under lighting was strengthened and makes the space flexible, but solemn and elegant. Reception counter is concise and liner-clear shaped, coordination with the whole style to meet the idea of “All based on people”, and the side wall spotted with green plants makes you to impulse into it, and emphasized the idea of building environment and healthy office. · The whole corridor ceiling reached 2.4m and the finish is pure white combined with light silver, and the simple design style achieved a miracle effect: less is better than more and simplicity is better and miscellaneous, and set up a relax and open situation. Office area based on “Providing employees with comfortable and humanized working environment”, and the white decoration style enlarged the space and engaged with large full length glass window and concisely Lumbency linear lighting, which makes the whole space more transparency. Green plants and plot culture decoration, simplicity and clear, cleaned indoor air. It sets up a comfortable, healthy and humanized high-quality work environment. 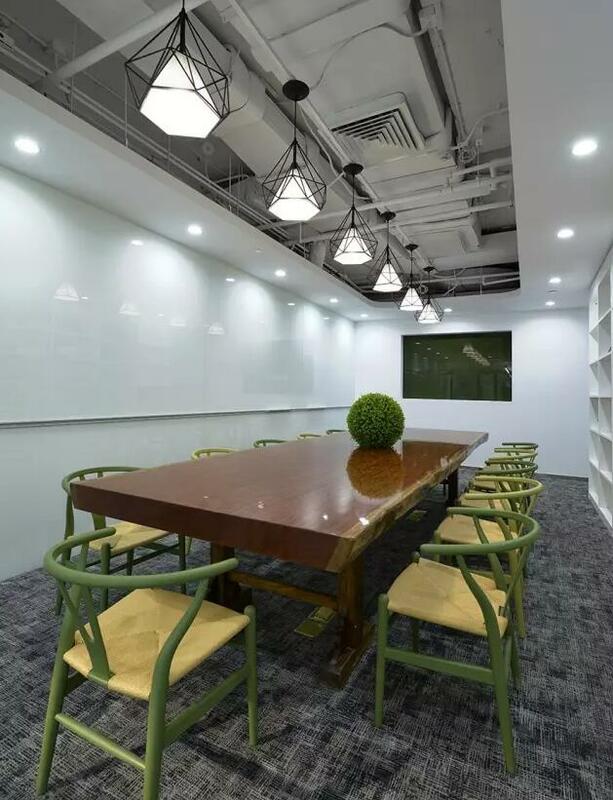 The large conference room can accommondate nearly 100 people, and it can host company meeting, training, and some other activities equipped with high-tech electronics devices. Compartment of the small vieo conference and wall panets of the storage space, increase the efficiency of the whole space. 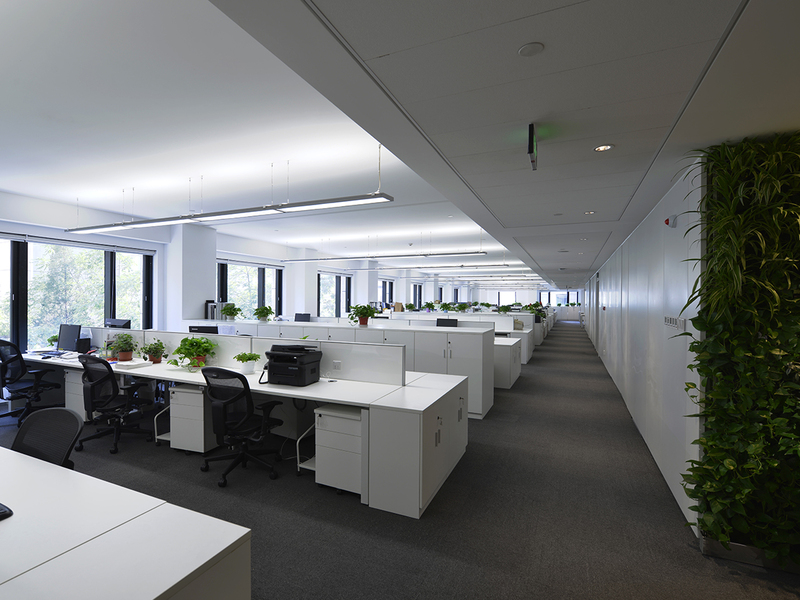 Lumbency recessed linear lighting is of high efficiency and environmental. Most of furnitures are portable and combined with others freely. 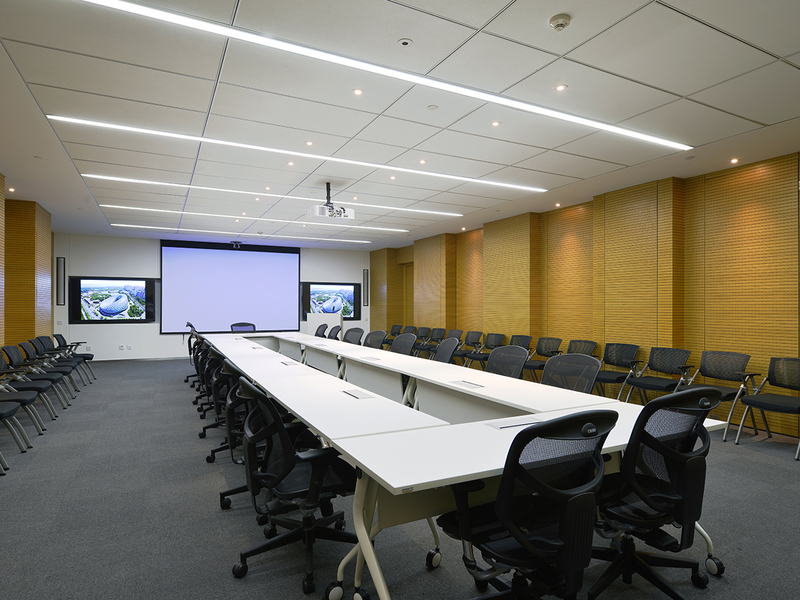 Brightness, generous, and high-tech equipped conference room improve the communication efficiency and working efficiency. In sport areas there are some ping pong tables which are allowed employees to relax their eyes and backs. 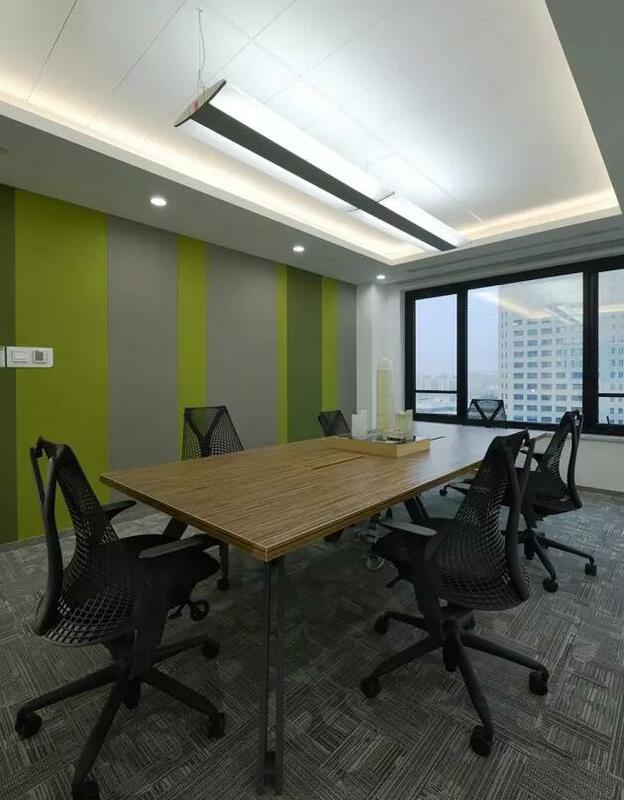 Soft color, warm light and colorful desks make the room more energetic, and the velvet sofa and closet around the corner experienced the humanistic care for the employees.